The goal of the paper is to analyse some specific features of a very central concept for top-level ontologies for information systems: i.e. the concept of artefact. Specifically, we analyse the relation to be a copy of that is strongly linked to the notion of artefact and—as we will demonstrate—could be useful to distinguish artefacts from objects of other kinds. Firstly, we outline some intuitive and commonsensical reasons for the need of a clarification of the notion of artefact in ontologies for information systems, and we analyse some characterisations of the notion given by two top-level ontologies (Cyc and Wordnet). Secondly, we introduce and critically analyse Tzouvaras’ notion of copy. Thirdly, we try to complete an analysis of copy by distinguishing three kinds of copies: replicas (Tzouvaras’ notion of copy), rigid copies, and functional copies. With the help of these three notions we outline a first and preliminary distinction between artefacts, objects of art and natural objects. This article is a revised version of the paper presented at the Second European Conference Computing and Philosophy (E-CAP2004), held at the University of Pavia, Italy (June 3–5, 2004) and chaired by Lorenzo Magnani. We are indebted to the participants of the conference for the stimulating discussion. 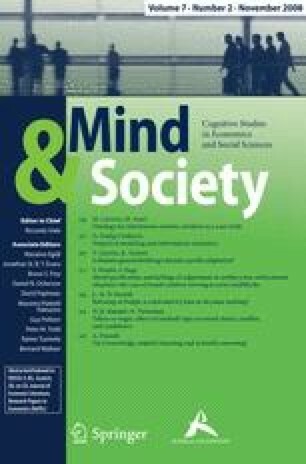 Thanks also to Francesco Berto, Cristiana Bettella, Gillian Davies, Pierdaniele Giaretta, Vittorio Morato, and to the referees of Mind and Society for their detailed comments to earlier versions of this paper.